Timber Design covers timber fundamentals for students and professional architects and engineers, such as tension elements, flexural elements, shear and torsion, compression elements, connections, and lateral design. As part of the Architect’s Guidebooks to Structures series, it provides a comprehensive overview using both imperial and metric units of measurement. 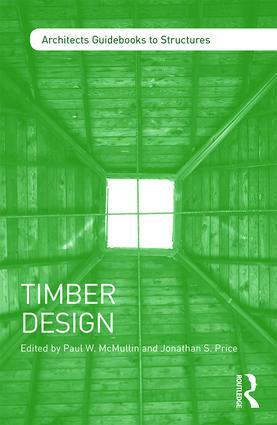 Timber Design begins with an intriguing case study and uses a range of examples and visual aids, including more than 200 figures, to illustrate key concepts. As a compact summary of fundamental ideas, it is ideal for anyone needing a quick guide to timber design.